Visual acuity is our ability to see clearly. As humans our eyesight may not be as impressive as some other mammals but nevertheless it serves us sufficiently to conduct our daily activities. But eyesight problems have become commonplace in the modern world for a number of different reasons. It is lifestyle-related, due to genetics and even associated with some of the chronic diseases that have become common these days. The common causes of bad eyesight can vary. It may be a problem with the way light is bent, the amount of light that can enter the eye or a deterioration of the light-sensitive eye tissue. In order to understand how bad eyesight arises, it is first important to understand normal vision. Light rays enter the eye through the transparent cornea. The cornea bends (refracts) the light through the pupil. The refractive index of the cornea stays constant. 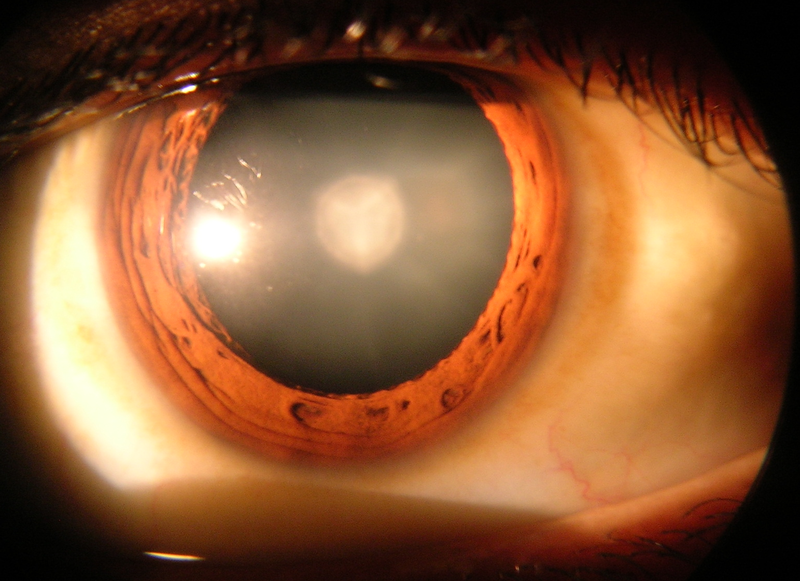 The partially bent light now passes through the fluid in the front chamber of the eye (aqueous humor). It then passes through the lens within the eyeball. The lens can alter its shape at will to change its refractive index. This ability is known as accommodation. The light will be refracted further by the lens. Upon exiting the lens, the light rays will pass through the vitreous humor in the eyeball. It eventually reaches and strikes the retina. The macula on the retina is the most light sensitive area and is responsible for our sharp central vision. The specialized cells of the retina convert the light into nerve signals which are relayed to the brain. The brain decodes these signals and it is perceived as the sense of vision. There are different causes of bad eyesight depending on the part of eye that is malfunctioning. Sometimes the problem lies with the nerves that carry signals between the eye and brain, or with the visual centers in the brain, but these are relatively uncommon. The most common problems are refractive errors of the eye. This simply means that the cornea and/or lens is not bending the light correctly. Then there are distinct lens problems where the light cannot pass through the normally clear lens. Less common causes when there are problems with a fluid buildup in the anterior chamber of the eye (aqeous humor) leading to nerve damage or deterioration of the retina. Irrespective of the nature of the underlying problem, visual acuity is compromised. The most common symptom is blurred vision but a person may also experience dull or cloudy vision, tunnel vision, glare or halos around lights and in severe cases even blindness. The cause of each type of eyesight problem is not always known. It may be due to an interplay of multiple factors. However, advances in modern medicine now means that most types of common eyesight problems can be treated quite effectively and even cured if it is diagnosed in the early stages. Myopia, or nearsightedness, is one of the most common refractive errors. It simply means that you cannot see objects in the distance but nearby objects are still clear. It is therefore also known as short sight or shortsightedness. Myopia usually starts in childhood and affects about 1 out of 3 adults. Here the eyeball is either too long or the cornea is too curved and despite the best efforts of the lens, it cannot compensate sufficiently to focus a clear image on the retina. Myopia can be corrected with eyeglasses, contact lens or eye surgery. Hyperopia, or farsightedness, is an eyesight problem where near vision is poor but far vision is normal. A similar condition affects everybody as they reach the 40s and this is known as presbyopia. In long sight, the eyeball may be too short or the cornea is not curved enough. As with myopia, the lens may try to compensate but cannot do so effectively thereby leading to blurring of near vision. The more common cause of hyperopia is genetics although conditions like diabetes mellitus may be involved. It can also be corrected with eyeglasses, contact lens and refractive eye surgery like LASIK. Astigmatism is a more complex type of refractive error. It is due to the cornea having an uneven curvature. Light in some planes are bent more than light in other planes. The lens cannot change shape to accommodate for all these variations and vision is therefore blurred. Some people may also have problems seeing certain colors or experience double vision. Astigmatism is the most common eyesight problem but it is usually so minor in most people that it goes by unnoticed. Given the complexity of the problem, there are various different types of astigmatism – simple or compound myopic astigmatism/hyperopic astigmatism and mixed astigmatism. It can also be treated with eyeglasses, contact lens and refractive eye surgery. A common eye problem seen primarily in the elderly is a cataract. Here the normally clear lens of the eye becomes cloudy and vision is gradually dimmed. A cataract develops slowly and it can months or even years for poor eyesight to become apparent. The problem in a cataract is that light cannot pass through easily since the lens is no longer clear as it should be. Aging is not the only reason for a cataract. It can also occur with injury to the eye, the use of certain chronic drugs, poor nutrition, excessive long term UV exposure, infections and systemic diseases like diabetes mellitus. A cataract can only be treated by lens removal and replacement surgery. Glaucoma is a condition where the pressure within the eyeball is raised. The fluid of the aqueous humor is unable to drain out as it normally should leading to a build up that raises the pressure within the eye. This causes compression of the optic nerve and eventual nerve damage. Glaucoma may be caused by eye injury, occurs with advancing age, systemic conditions like diabetes mellitus and eye diseases like uveitis. However, glaucoma is not only a condition affecting the elderly. It can also occur in children and even infants. The symptoms of glaucoma may include blurred vision, cloudy vision, halos around lights and gradual loss of peripheral vision. Medical treatment in the form of eye drops or oral drugs are the first option but if it fails then glaucoma surgery is necessary. Age-related macular degeneration (AMD) is a common eye problem in people older than 50 years. In fact it is the leading cause of vision loss in seniors. Here the portion of the retina responsible for sharp central vision, the macula, is slowly destroyed over time. It does not lead to blindness but can be severe enough to adversely affects a person’s life. Peripheral vision is intact but central vision is gradually lost over months and years to the point where a person cannot recognize faces, read fine print or do intricate work that needs good eyesight. While certain supplements can slow down the progression of the intermediate form of AMD, once it reaches the advanced stages the treatment options are very limited.